EL & Compensatory Education Department | Lights! Camera! Action! 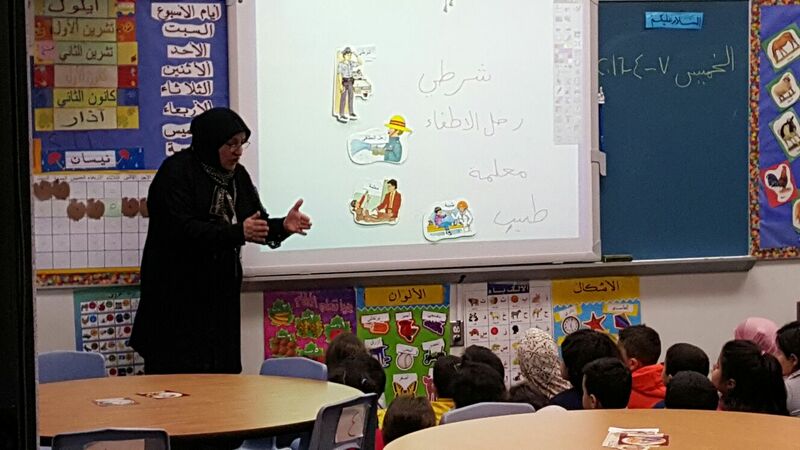 WGBH Boston, public television’s flagship station, has recently launched a new media-based project to help support Arabic language teachers nationwide. 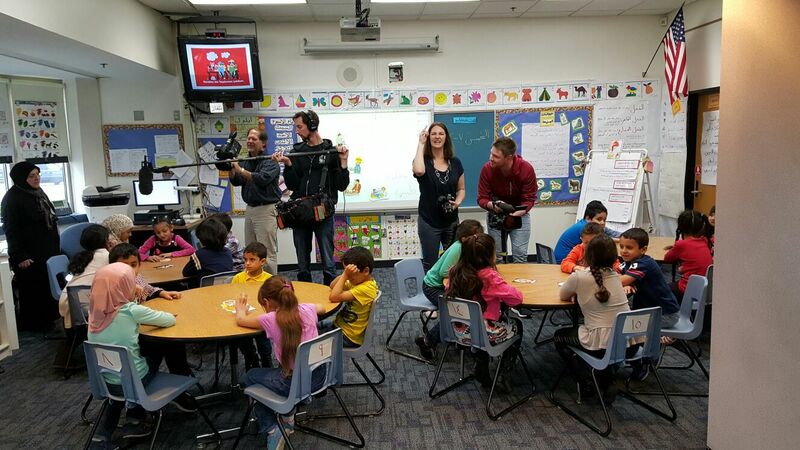 They plan to produce a collection of materials for elementary, middle, and high school teachers that will become part of Annenberg Learner’s Teaching Foreign Languages video library, a content rich online resource populated with videos of classrooms filmed across the country. 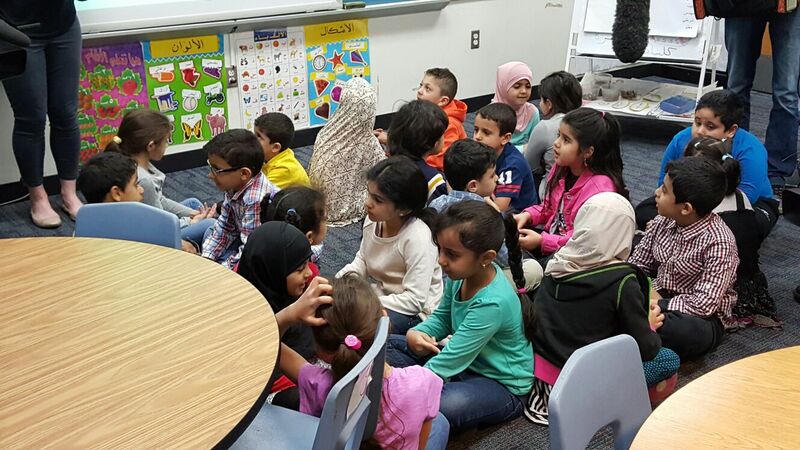 Thursday April 7, WGBH Boston filmed students in Khamael Alaloom’s class participating in Teaching Foreign Languages at William Ford Elementary. 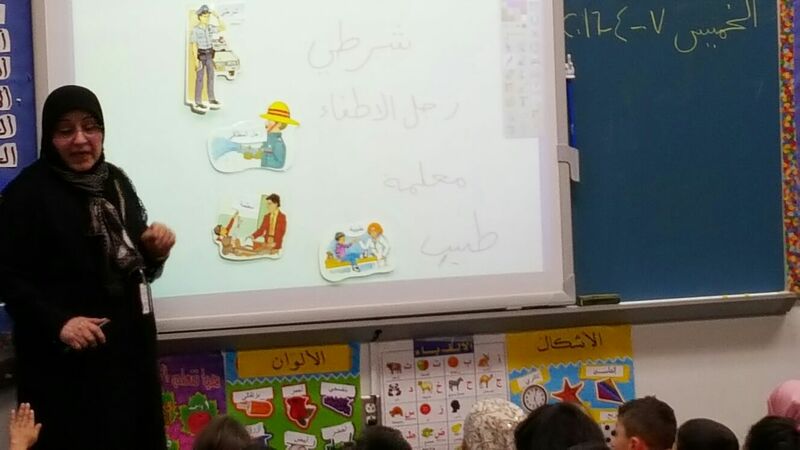 The focus was on the interaction between the teacher and students, as well as students working independently and in groups.